Coetzee takes Boks from 3rd ... to 6th! 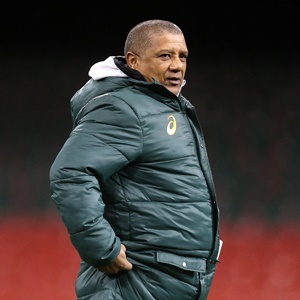 Cape Town - When current Springbok coach Allister Coetzee took charge of his first Test, the national side were ranked third in the World Rugby rankings. READ: Coetzee remains defiant: I will not resign! READ: Bok ratings: Shot down in the skies! Fast forward 18 months and when the latest standings are released later on Monday, the Boks will find themselves in sixth spot. Rewind to Saturday, June 11, 2016. South Africa v Ireland at Newlands. A new dawn for South African rugby as Coetzee prepares for his first match at the helm against an Irish side missing a host of key players. Eighty minutes later, Patrick Lambie is in hospital after a brutal clash with CJ Stander and the Coetzee tenure is off to a 26-20 losing start. Sadly, not much has improved since. That match back in 2016 was the first Test for South Africa since finishing third at the 2015 Rugby World Cup in England. Heyneke Meyer had resigned from his position, replace by Coetzee who had been enticed back home from Japan. Great things were expected of the Boks who had moved to third in the rankings - behind the All Blacks and Australia - on the back of their World Cup exploits. Alas, the Coetzee years would prove unimaginably painful for proud Springbok supporters as Coetzee rewrote the record books for all the wrong reasons. Record margins of defeat against the All Blacks and Ireland were to follow while first time losses to Ireland (home), Argentina (away) and Italy (anywhere) were dished up. Coetzee's overall record reads Played 25, won 11, lost 12, drawn 2, for a win percentage of a pathetic 44% for a once feared nation. Further proof - if it was needed - that the Boks have taken a step backwards is clearly evident when Coetzee's win percentage is compared to that of his three immediate predecessors in their first two years in charge. Meyer's read an impressive 71% while both Peter de Villiers and Jake White boasted a 68% success rate. Saturday's 24-22 defeat against Wales in Cardiff was perhaps a fitting and appropriate way in summing up the Coetzee era. Many - no, the majority - will be imploring SA Rugby to give Coetzee the axe when they meet for their Annual General Council on Wednesday, December 13.